Car news never seems to stop coming these days, with this week's post bringing you the next-generation Audi RS 5, a new Zagato Aston Martin, and new BMW M140i and M240i models. 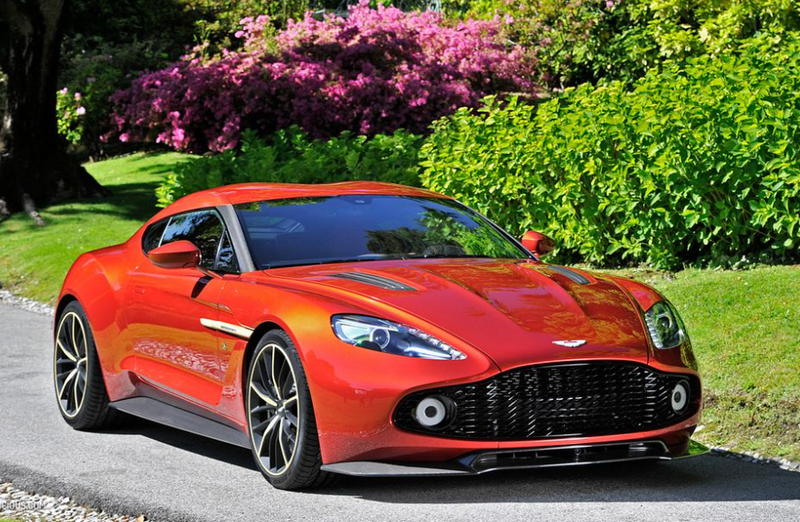 Aston Martin and Zagato have teamed up again to create a stunning concept known as the Aston Martin Vanquish Zagato. The Italian design house company have been redesigning and restyling Aston Martins for over 50 years with recent models including the 2011 V12 Vantage Zagato and 2002 DB7 Zagato. Their latest project though is based on the current Vanquish, but with a significantly different exterior to give it a real distinctive and unique look. Overall the car looks far more chunky, with a large front grille, LED running lights, quad exhaust system and mean rear diffuser all adding to the styling, not to mention their brand's trademark double bubble roofline. Inside the car is carbon fibre trim with additional bronze touches and 'Z' pattern quilted leather everywhere. The M135i and M235i are no more as BMW have now replaced them both with the all-new M140i and M240i variants. As you'd expect the main difference is the engine, with a new 3.0-litre twin-turbo straight-six fitted to produce 335 bhp and 367 lb ft of torque - an increase of 14 bhp and 37 lb ft over the previous unit. That extra power also brings a quicker 0-62 mph time too, going from 4.9 seconds to just 4.6, with the Convertible clocking in just slightly slower at 4.7. Other changes include the latest iDrive interface, a black M Sport leather trim, and an eight-speed automatic gearbox. The engine updates don't just apply to the M-spec models either, as the 228i gets the same treatment and becomes the 230i. Prices for the M140i start at £31,875 whilst the M240i costs £35,090. They're all available to order now so if you fancy one, get down to BMW and take one for a spin! The much anticipated Audi RS 5 has finally been spotted whilst undergoing testing at the Nurburgring. As you'd expect the RS 5 will adopt the newly developed 3.0-litre electric-turbo V6 engine that is present in the upcoming RS 4, resulting in a power output of around 480 bhp with a 0-62 mph time of roughly four seconds. The electric-turbo is designed to provide power low down in the rev range and subsequently eliminate turbo lag whilst improving performance. Visual changes seem to correlate with the styling of all the new Audi RS cars - sleek, sharp lines with a beefier bonnet, large air intakes, wide arches and quad exhaust pipes. Of course the final look is difficult to make out with the camouflage paint job but it does offer enough to get us excited for its official announcement that is likely to happen some time next year. To mark the end of the Phantom, Rolls-Royce have created a special-edition variant known as the Zenith Collection model. The Zenith Collection models will be the very last Phantom's built by Rolls, and come with all the specialties you'd expect for such an occasion. Each model is equipped with all sorts of luxurious extras, such as unique leather colouring, aluminium cupholders, brushed steel instruments, laser etched armrest capping and their famous 'Starlight' interior roof. Perhaps the biggest add-on however is in the boot, where a fold-out glass Champagne server sits alongside a special Rolls-Royce picnic hamper, finished in the material and colour of each individual customers choice. Only 50 models Zenith Collection models will be built, and if you just so happen to fancy one, then well unfortunately they're all already sold at a currently unknown price. The SEAT Ateca arrives in several months but reports suggest a Cupra-spec variant is also in the works. SEAT often produce sporty equivalents of their cars with the Leon Cupra 290 receiving rave reviews since its launch last year, and it looks as though their new Ateca SUV is no different. To give us an idea of how it might look, the clever folks over at AutoExpress.co.uk have gone and put together a few images of how it is expected to look, and we think it's pretty damn impressive. You'll instantly notice the more aggressive look, with chunky bumpers and side skirts, a lower ride height, honeycomb grille, multi-spoke alloys and twin-exhaust pipes. Under the hood is expected to be the same 2.0-litre turbo from the Leon Cupra 290, meaning a 286 bhp power figure and potential sub-six second 0-62 time. It all sounds quite interesting and has definitely got us curious, but it's unlikely we'll see it in all its glory until the Paris Motor Show in October.